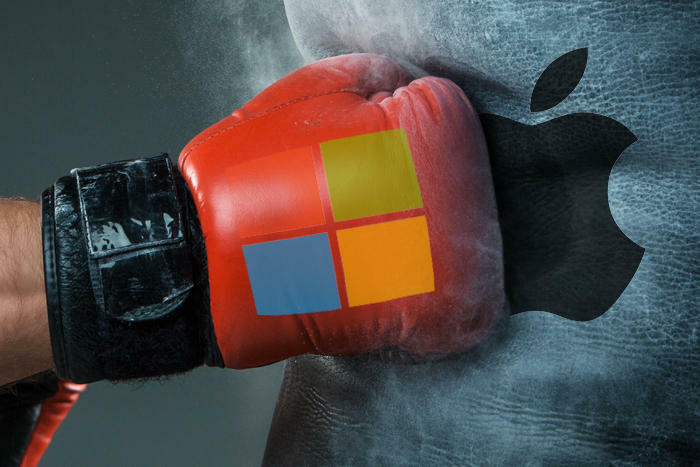 Apple's 15" MacBook Pro Goes Head To Head With Microsoft's 15" Surface Book 2; Will A Detachable Really Triumph Over A Notebook? Apple’s 15″ MacBook Pro Goes Head To Head With Microsoft’s 15″ Surface Book 2; Will A Detachable Really Triumph Over A Notebook? Over these past few years, we’ve seen a new market category for PCs and notebooks crop up. Prior to this development, consumers had to choose between a tablet or a notebook. Now things are different. Microsoft’s Surface Book and Google’s Chromebooks have created a new segment that allows for a complete blend of portability and performance. In fact, some analysts expect that this market will overtake tablets in the future; a fact that’s also behind Microsoft’s decision to make Windows 10 fully capable with ARM 64. Microsoft’s Surface Book lineup is an amazing blend of heavy-duty usage and mobility. Their unique design makes for an amazing look and feel, and additions such as the Surface Dial go a long way to facilitate smooth usage. Apple’s MacBook Pro lineup, on the other hand, is time-tested to deliver a near perfect balance between design, aesthetics, and performance. So, now (courtesy MacRumors) we take a look at both of these to decide which one is the better product for you. Apple’s 15″ MacBook Pro Vs Microsoft’s 15″ Surface Book: Which Is The Better Option? A Hybrid Or A Classic Notebook? Before we get to the video, it’s relevant to take a look at the specifications both devices have to offer. The Surface Book being discussed features Intel’s Core i7 with 16GB RAM and Nvidia’s GTX1060 GPU. The MacBook Pro features Intel’s Core i7 and AMD’s Radeon 450 GPU. Precise details aren’t available as this comparison is concerned with the devices’ overall performance rather than an in-depth contrast of specifications. Let’s start off with the design. The Microsoft Surface Book 2 features an unconventional hinge, that has become the trademark for its design and aesthetics. It ensures that the detachable remains functional and offers it a unique look. However, the hinge also makes it less sleek when closed and Apple’s MacBook Pro takes the lead here. Overall, the Surface Book 2 carries a more squarish look and feel, with strict corners. Its keyboard also blends in with the background, as Microsoft has chosen a white color for the variant under discussion. The same remains true for other color options as well. Apple’s MacBook Pro, on the other hand, follows Cupertino’s classic unibody design. The lack of 2-in-1 technology also ensures that the MacBook Pro is sleeker when its lid is shut. The Surface Book 2 carries one USB-C port, four USB-A ports, and an SD card slot. The MacBook Pro only features four thunderbolt compatible USB-C ports. Moving towards the display, Apple’s MacBook Pro wins here as you’ll also find out in the video above. However, on paper, the Surface Book 2’s display has the higher resolution. Microsoft’s offering has a resolution of 3240×2160 pixels while Apple’s premium notebook carries a 2880x1080p display. In addition to having a keyboard that contrasts with its body, the MacBook Pro also has a much larger trackpad which allows for greater user control. However, Microsoft’s Surface Book 2 features a touch display, that allows for direct access. Since the model under discussion here is the 2016 variant of the MacBook Pro, we’d remind you to purchase a keyboard cover as well should you go with this one on Apple’s refurbished store. Apple’s redesigned, second-generation butterfly keyboard aims to save space. In the process, it isn’t very dust or impact resistant. Microsoft’s Surface Book 2 also features the Surface Dial and Surface Pen. They perfectly complement its touchscreen and sleek form factor. They will also prove invaluable additions for design-oriented folks. We’ll skip over the operating system as that’s mostly down to personal preference and end by comparing prices. The Core i7 variant of the Surface Book 2 with 256GB internal storage and 16GB RAM will cost you $2,499. The 2017 15″ MacBook Pro with 256GB internal storage, 16GB RAM, 2.8GHz Intel Core i7 and AMD’s Radeon Pro 555 will cost you $2,399. Thoughts? Let us know what you think in the comments section below and stay tuned. We’ll keep you updated on the latest.